Phonographic Copyright (p) – Blue Note Records Inc. 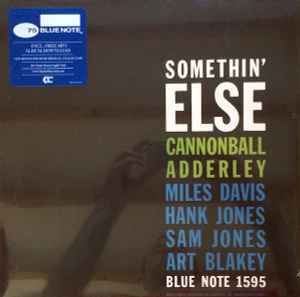 Copyright (c) – Blue Note Records Inc.
Includes free MP3 album download. Miles Davis performs by courtesy of Columbia Records. Hank Jones performs by courtesy of Capital Records. Recorded on March 9, 1958. My copy came absolutely covered in scuffs and small scratches straight out of the shrink wrap. Listened to it once, didn't seem to have an effect on playback, but do not recommend this pressing at all.